Many modern houses have combined central heating and air conditioning systems. 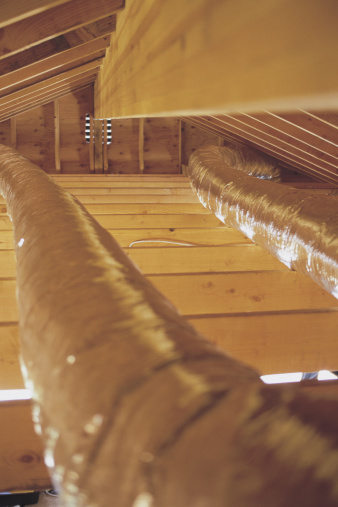 Ductwork is installed when the house is under construction and there is easy access to walls and ceilings. 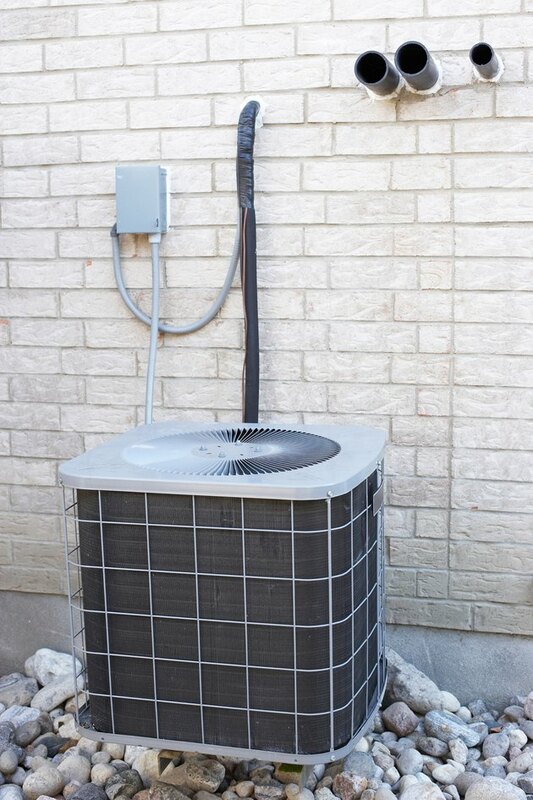 Adding central air conditioning to a house with central heating is not a major problem, because the cooling unit can share the heating ducts, with some alteration of connections. Some houses in warmer regions may have no central heat, but need central air. Installing central air in a house with no existing ductwork is a major task, which may require altering some walls inside the house. This air conditioning unit is set outside the house. Locate the air conditioning unit inside a slab foundation house if possible. Use space in an existing utility or laundry room or a large closet, preferably near the center of the house. Put it on a separate concrete slab as an alternative, at the side or back of the house, adjacent to a closet or similar space that can be used for entry and return ducts. Run main supply ducts from the unit to the attic, as directly as possible. Identify locations for outlet vents, in the ceiling unless there is a closet or other wall cavity large enough to accommodate a duct down to a wall vent. Use a trunk and branch system, with a main supply down the center of the house and branches to outlets near the walls. Connect trunk and branch ducts with metal sleeves or T connectors, which fit inside the duct ends. Secure these with adjustable straps around the flexduct and seal them with tape. Let flexduct rest on joists in the attic with just a few fastener straps to keep them from moving if wind blows in. Cut holes in the ceiling to accommodate vents. Install metal vents in those openings, typically nailed or screwed to joists with a hammer or screw gun. Fasten the ducts to vents with adjustable straps and tape. Install a cold air return and air filter near the floor adjacent to the entry point from the cooling unit; some units built for installation inside a house will have return openings built at the bottom, eliminating the need for separate return ducts. 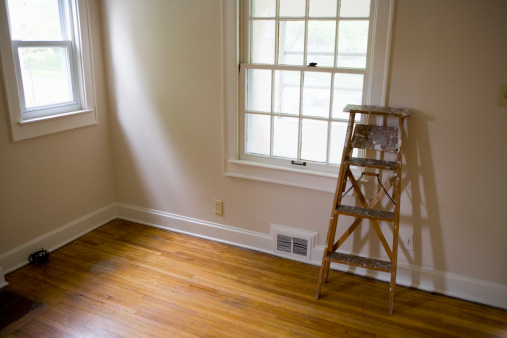 Always locate returns near the floor in a central part of the house where air flows naturally. Seal all flexduct seams with tape from the duct manufacturer; never use duct tape, which despite its name, will not hold up. Put covers on the vents inside the house. Check the system for leaks by forcing the blower to turn on. 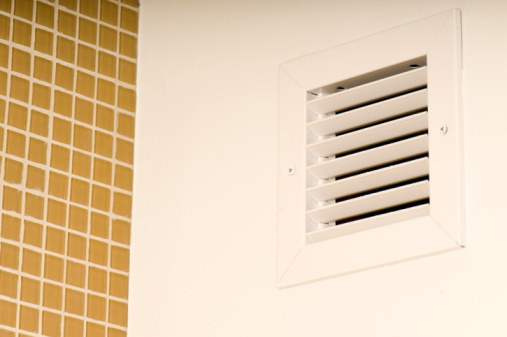 Look for flapping ductwork or listen for whistling to indicate air loss. Repair any leaks.